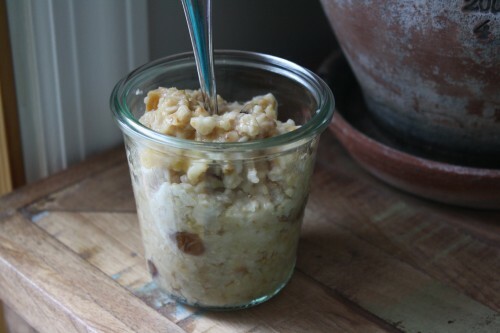 Mix up this oatmeal in the crock-pot before bed and wake up to a hot breakfast. Combine ingredients in a slow-cooker and stir. Set to low and cook for 8 hours. Serve topped with cinnamon-sugar.